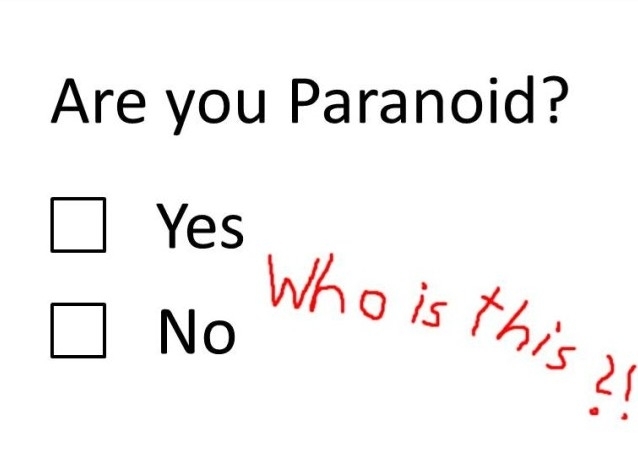 4 Responses to Are You Paranoid? No. Who said I was? Who told you that I was here? How did you get into my personal email? Who told you I had your personal email?